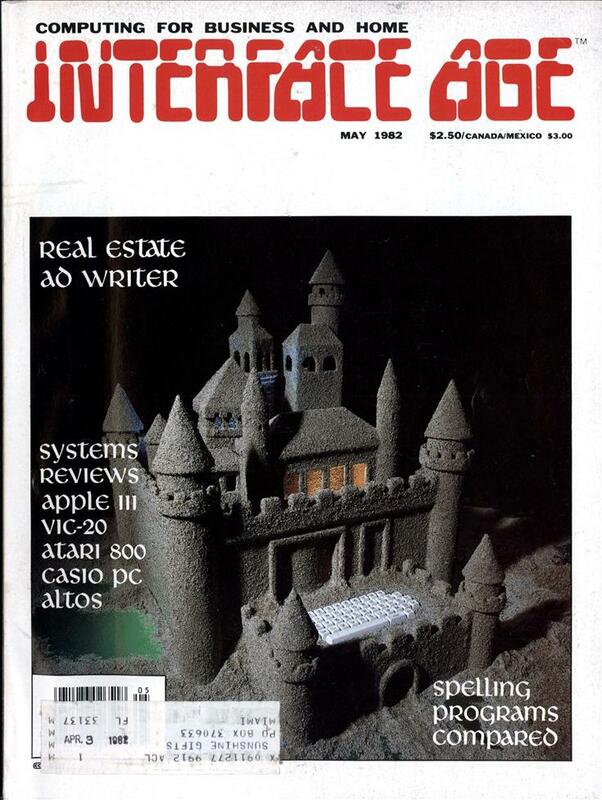 When I used to buy Infocom games in the 80’s I always loved how they came with all sorts of “props” in the box. Particularly the Microscopic Space Fleet in Hitchhiker’s Guide to the Galaxy. Also, how crazy is it to see a video game ad that mentions availability for the PDP-11? Twelve hours to find the murderer. One false move, and he kills again. You are about to investigate one of the deadliest plots in the annals of crime. A locked door. A dead man. And 12 hours to solve the murder. That’s where you begin. Ahead of you, a treacherous web of motives and suspicion. And only by bringing your utmost skills of logic and intuition into play can you successfully solve the case. Working from a complete dossier on the crime and the myriad clues along the trail, you’ll find yourself becoming totally immersed in the investigation. Every scrap of evidence, every lead, every turn of events is far too realistic for DEADLINE to be considered a “game” or “fantasy” And its degree of interactiveness is so highly advanced that, for the first time in the genre, the characters actually possess independent, flesh-and-blood personalities In fact, they’re so free of your control that should you make the wrong move. one of them may do you in. Your next great adventure is neither under ground nor out in space. The real challenge is here. Just try and beat DEADLINE. You’ll find the case awaiting investigation at fine computer stores everywhere. 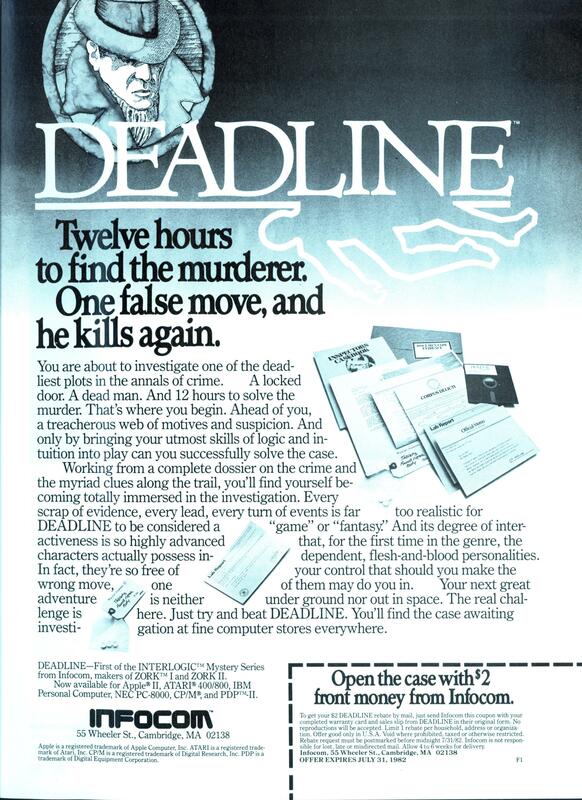 DEADLINE—First of the INTERLOGIC™ Mystery Series from Infocom, makers of ZORK™ I and ZORK II. Now available for Apple® II, ATARI® 400/800, IBM Personal Computer, NEC PC-8000, CP/M®, and PDP™-II. I always loved Tchotchkes. Nowadays you have to pre-order a game to get anything other than a disk and a box…and even that is getting rare with digital downloads taking everything over. I had – HAVE – that game for the Amiga! It was still a text game, but the graphics had things like a water cooler in the background that slowly leaked and bubbled. Drew: Wasn’t it the “Zork Machine”? @Toronto – The Z in Z-machine does indeed stand for Zork. I can’t say which was the official name (if it even had one); Wikipedia calls it the Z-machine, and that seems to be the more common name used these days.